I love a good tee shirt dress. They are super easy with kids. The material is thick on this dress which I like, if the material is too cheap and thin it is such a bad look and fit. This one just got marked down- I am wearing a size 2 which is equivalent to a medium it runs on the small side. I am so excited to find this print in the clutch version!! Such a great price. For any of you new moms this would be so cute with diapers and wipes inside your regular purse! I love a good boho dress. This one comes in 3 cute colors. Looks so light and airy. I am so in love with my bracelet from ESN. English the designer was sweet enough to send me one with the kids names engraved and I just adore it. I have been wearing it every single day. It is such a great bracelet alone or layered. 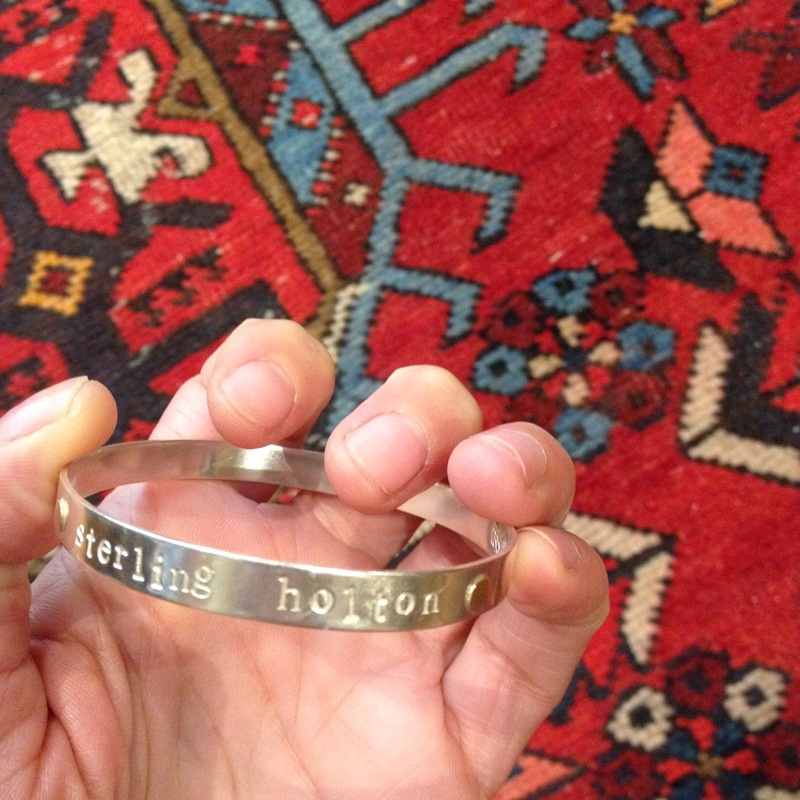 English crafts and stamps each bracelet in her home studio in Atlanta, GA. 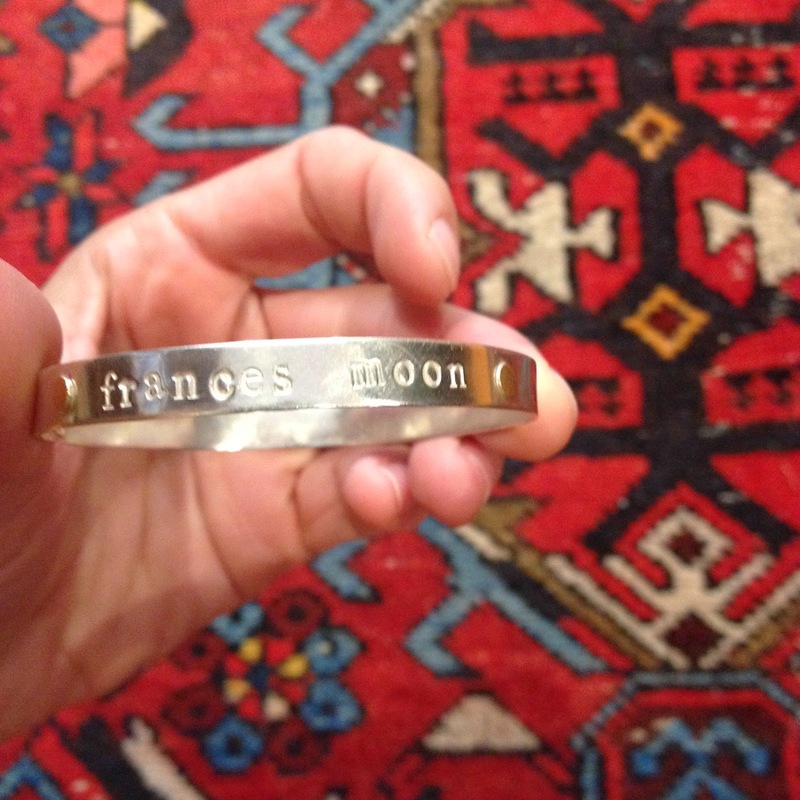 I just love that they are each individually made and have such special meaning. You can do just silver but I loved the silver with the gold dots. And you don't have to do just names, you can do dates or whatever combo you prefer. This is such a great gift for any new mom or a mothers day gift. Check out English's whole site it is filled with beautiful handmade jewelry. I also love the namesake necklace. Shop all these beautiful handcrafted bracelets and jewelry HERE. Love the colors, pattern, and style of this beautiful maxi! The perfect shoe to take you from Summer to Fall. I love the look of this over sized tee. Always love a fan of polka dots. 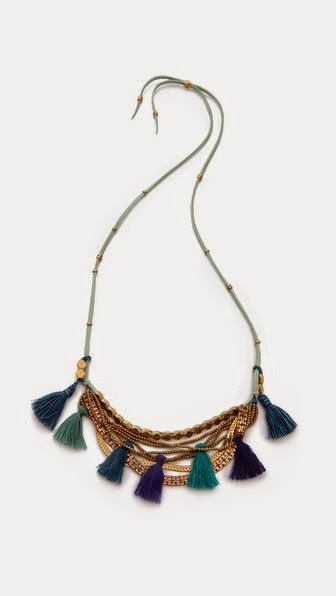 Who doesn't love a tassel? This necklace is too cute. This is such a great solid color tank. I find cute solid color tanks in great colors are hard to find. I love the peacock blue. This would look great under a blazer in the Fall too. 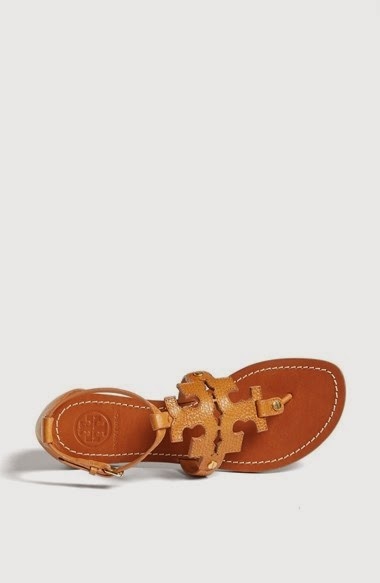 I think these are going to be my next summer sandals. They would go with everything. 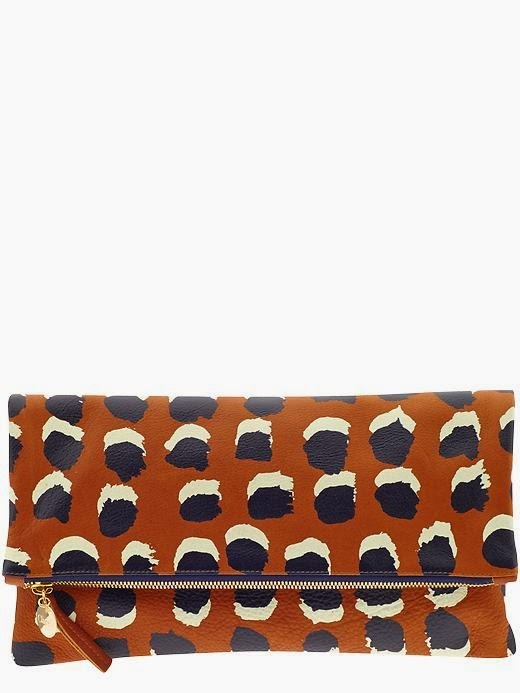 This is my favorite Claire V Clutch yet, the spots are perfection!! Love all you picks, but I really want that clutch!!! I'm so digging that boho dress from Free People! So my style! Obsessed with the Free People dress...it looks like it could work for the bump too!! I love, love, love that Free People dress and also have been eyeing the TB Phoebe sandals for months now! 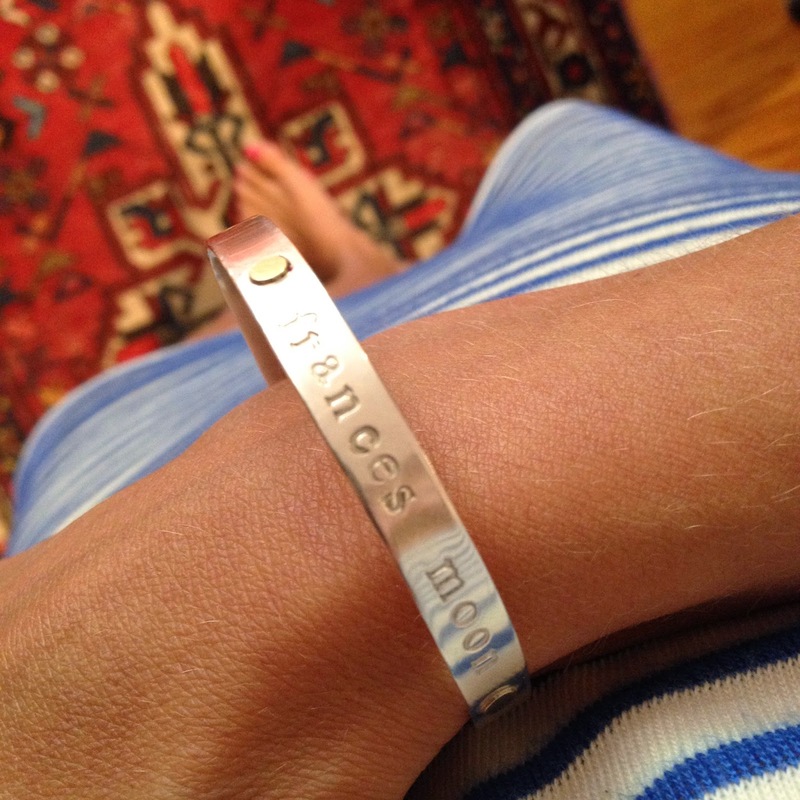 The bracelet is so sweet too! 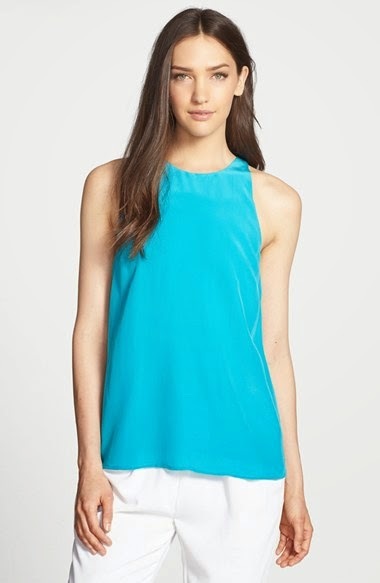 Love the neckline on that Joie tank - it's my favorite. And loving that clutch! Good find! 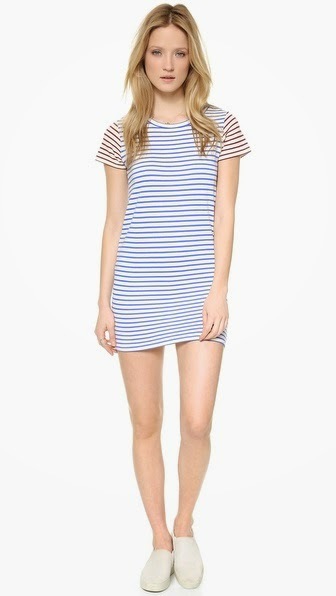 That dress looks like the perfect sailing dress! Love the clutch too, always CV doing it like no one else does! Agreeing with everyone else right now, that Free People dress is great, so pretty and casual. 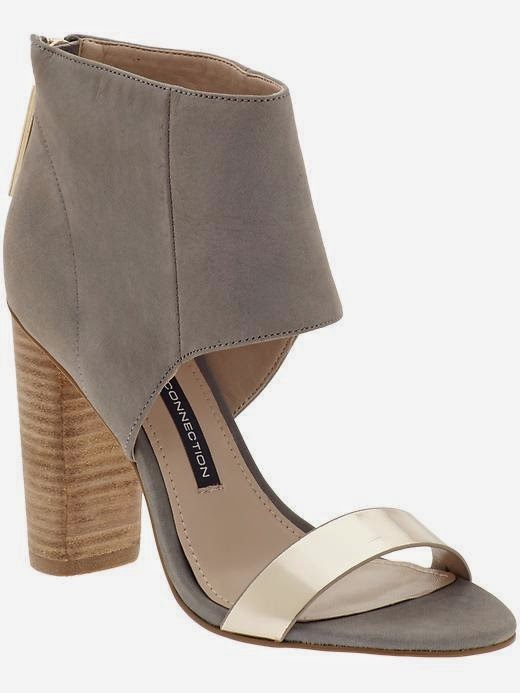 The French Connection heels are stunning!! Never would've thought to go for something like that before. I think I carried that Gap clutch every single day last week, I love it! I want that clutch! 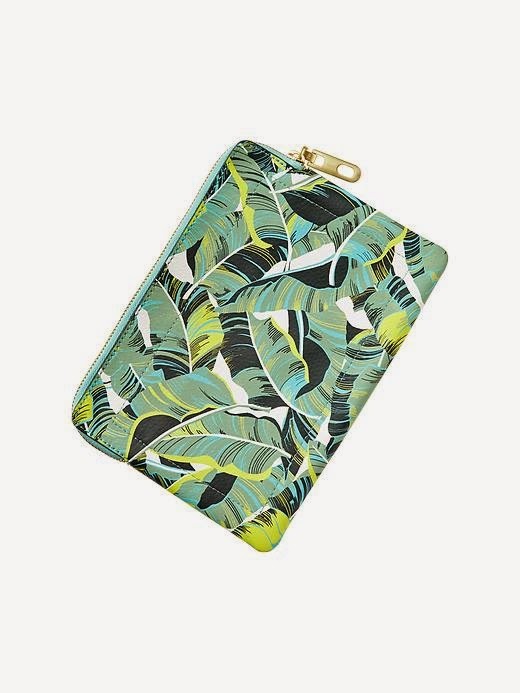 Lovin' the Martinique-esque Banana Leaf trend that's happening right now. That clutch is killer - I definitely need it! You. Are. Killing. Me. Or my husband - I want everything in this round-up. That stripe dress looks sooo good on you and I think I need that and the CV clutch asap.